Promoting clear skies with their emissions testing equipment, Sensors, Inc. relies on Smart Products' check valves for accurate flow control in their ECOSTAR FCS, ECOSTAR FEM, ECOSTAR HTF, and GEM II analyzers. These products incorporate our Series 300 Modular Check Valves within their design criteria to help measure a wide variety of liquids and gasses to include: CO, CO2, NO, NO2, THC, NMHC, CH4, NH3, O2, H2O, and particulate mass, and other species of hydrocarbons. Especially popular in the transportation industry, this equipment is used by government regulatory agencies and universities, as well as engine and vehicle manufacturers in the U.S., Europe, and Asia. Per Sensor's Inc.'s website, the SEMTECH ECOSTAR product line is a compact and portable suite of individual, self-contained (but easily stackable) modules. Each unit has a specific functionality, which may be operated as stand-alone analytical devices or as part of a fully integrated measurement package. 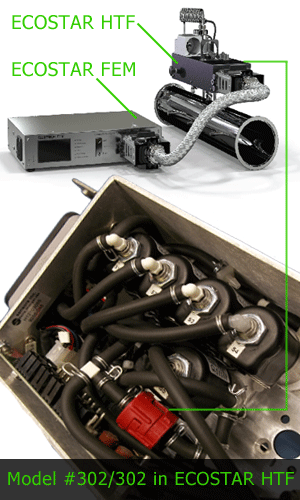 The ECOSTAR line is for both test cell and on-vehicle applications. The GEM II is also a portable device, but acts as a pump and filtering system to their Automotive Microbench (AMB II) analyzer. 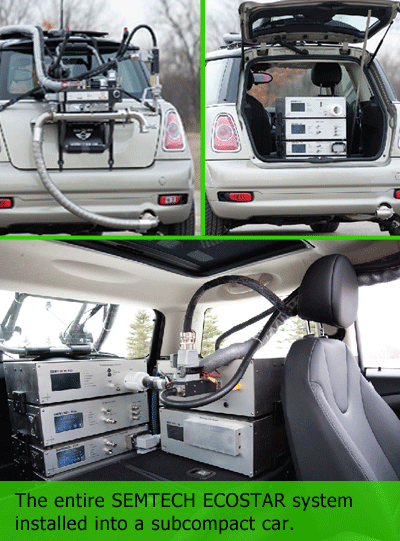 This unit is an inspection and maintenance emissions analyzer, and it is designed to be powered from a vehicle battery. With portability a top aspect of their application design, Smart Products was able to meet this need with our small, lightweight check valves. Beyond size requirements, Sensors, Inc. needed check valves for a variety of emissions analyzers. They required three valves to 1) compliment the right device and 2) be easily identified with a particular system. A Model #302/302 and two #304/304s were the ideal match to fit within their ECOSTAR product line, as well as the GEM II design criterion. These valves are easily inserted into 1/8" and 1/4" I.D. tubing. For ease of recognition and easy installation, the valves are color coded in red, white, and blue Polypropylene. And, as with all of our valves, we further customized them by o-ring and opening PSI. Series 300 Modular Check Valves are available in six plastic body materials: Polypropylene, Nylon, PVDF, Ultem®, ABS, and Radel®. O-ring options include: Buna-N, EPDM, Viton®, Silicone, Fluorosilicone, Aflas, and Kalrez®. Opening pressures range from 0.11 to 20 PSI. This series comes in a variety of barbed and NPT sizes, as well as other end fitting configuration styles. If size, ease of installation, or precise low pressure, low flow control is a critical design concern for your own unique criteria, contact us - we have over three million flexible solutions to meet your application needs.